A couple years ago, I took my brother, a devout Phish Phan to see Chris Cohen play to 40 or so people in a snug venue in Copenhagen. At some point halfway through the set, I realized that he was detached, if not outright bored by the curt jams churned out by Cohen and his band. While most of the sprightlier tracks on Cohen’s first two solo LPs break into loose guitar solos, I could tell they were selling big bro short at 45-seconds, denying the serial noodler all the pleasures of sinking into the endless grooves that have drawn him to triple-digits of Phish shows. So, in a fit of consolation, I offered him a palpable point of reference: The Velvet Underground. “Sunday Morning,” “Who Loves the Sun,” “I’ll Be Your Mirror”: for jangly ditties all running under the 3-minute mark, they’re universally beloved songs that don’t even flirt with solos or the feedback that made the Velvets the icons that even my brother can “fucks with a bit.” But there was an undeniable warmth of sound that the Velvets could tap into. Throughout Cohen’s 2012 debut Overgrown Path and 2016’s follow-up, As If Apart, there’s an intimacy and warmth that is rarely breached in recent psychedelic music. Cohen ruminates on time passing and the fleeting nature of relationships. From the lyrically esoteric “My atoms undetected disappear into the fizz of the unknown” on “Monad,” to the more direct “It’s been a long time, that love’s no longer mine, but it’s still yours” on “In a Fable,” Cohen’s solo material has wistfully touched upon the passage of time. However, he’s yet to bring the man behind some of the most modestly stunning earworms of recent years into question. Enter his recent self-titled LP, which delivers on just what the eponymous title suggests: a streamlined personal statement that ties a neat knot around the previous two projects. 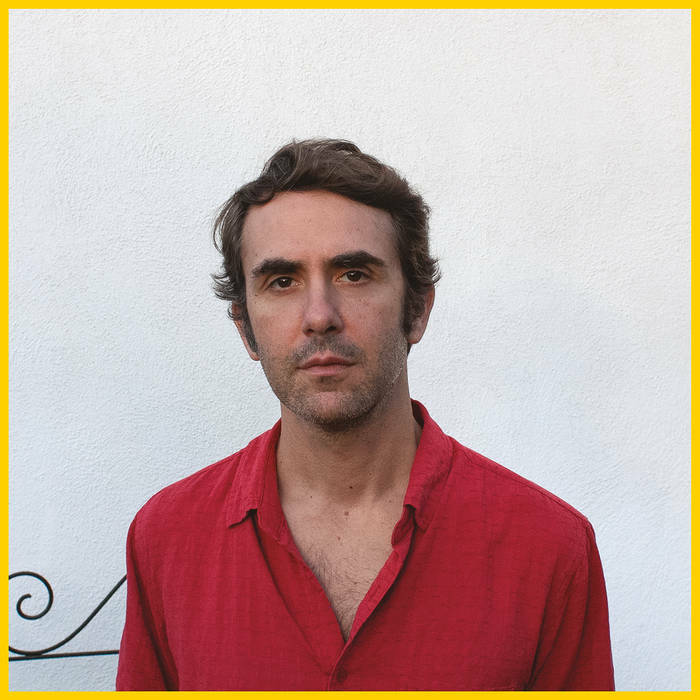 With his self-titled LP, Chris Cohen caps off a trio of albums that bask in a warm psychedelic breeze. Opener “Songs They Play” sets the tone of a record that thematically delves into the relationships of Cohen with the men of his family (his father, Kip Cohen, was the record exec who signed Billy Joel). “You fix the stained glass to color the past,” Cohen sings over descending keys, his lilting voice falling into a swirl of reflection for a past that he can’t seem to grasp even in hindsight. Midway through the album is “House Carpenter,” which at 6-minutes is Cohen’s longest solo track to date. Not a 6-minute jam (sorry bro), but a pretty rendition of an old folksong about a sailor who returns to his wife after being gone out at sea. Side two is considerably less poppy than the first half. The songs of the second half swell and build to stirring anti-climaxes, also incorporating new elements for Cohen’s catalogue (the free jazz squawks at the end of ‘The Link’ and the Destroyer-channeling sax line on closer “No Time to Say Goodbye”). The sea themes return on the frantic ‘Heavy Weather Sailing,’ “We run our course, we run our course, but the sea goes back and forth.” And while we hope for some sort of personal consolation from the serious-looking man on the front cover, we never quite reach it. Chris Cohen feels the most Californian of his three solo records. It’s at once airy and relaxed, while also being neurotic and inward. If you have yet to check out Cohen’s catalogue, the ex-Deerhoof member has quietly compiled an oeuvre that’s impressive in its economy. While countless other groups paying tribute to 60’s psych-pop get lost in studio trickery and effect pedals, Chris Cohen has remained true to his organic sound and put out music all the more compelling for that reason.